Suitable for Fuel, Oil and Coolant. Schwarzer glasverstärkter Nylon-Verbinder. Geeignet für Öl, Wasser oder Kraftstoff. 6mm Equal nylon T joiner. 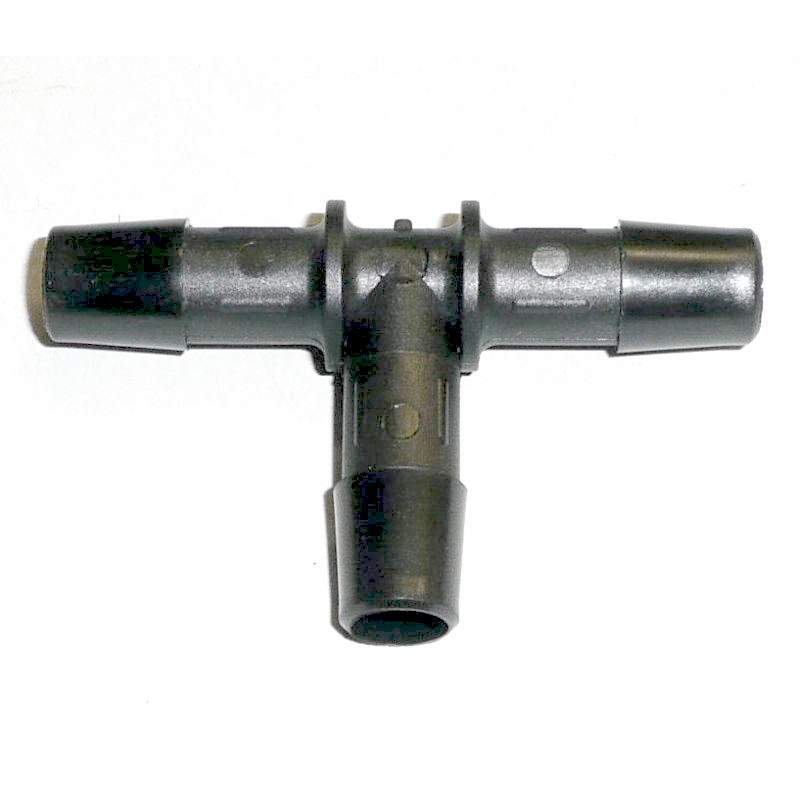 15mm Straight connector with a 10mm take-off. Reduces 12/15mm - 15/12mm with 10/8mm take-off. Reduces15/19mm - 19/15mm with 15/12mm take-off. Reduces 28/32mm - 32/28mm, 15/12mm take-off. 13mm wide band with a 7mm slotted hex drive screw. Use with Dash 6 Air Con Unions.